Tonga is currently playing an active role in China’s Belt and Road Initiative (BRI), Lopeti Senituli, a personal adviser of the Prime Minister, Hon. ‘Akilisi Pohiva, told Matangi Tonga. Lopeti pointed out that Tonga’s active participation in China’s BRI has been driven forward with China’s aid to Tonga, which focused on the construction of infrastructure, roads, bridges, public buildings, and also on the agenda is the construction of sports facilities at the Tonga High School compound. Construction of infrastructure is in line with President Xi Jinping’s Silk Road Economic Belt and 21st Century Maritime Silk Road, now known as the Belt and Road Initiative. It has been reported that through the BRI, China wants to connect participating countries infrastructure and to encourage them to open their markets to China and facilitate trade, and to link their financial markets to China. Since 2013 China has invested USD900 billion in BRIrelated infrastructures around the world. President Xi Jinping responded by encouraging Tonga to become an active participant in building the BRI. 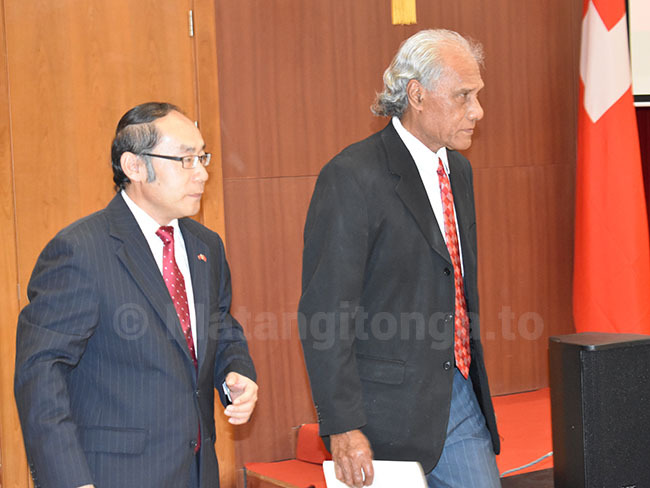 However, Lopeti was convinced that since China’s assistance to Tonga, focused on the construction of Infrastructure, and was very different from Australia and New Zealand; the two regional countries Australia and New Zealand had changed their approach and they were going to construct a new Parliament Building for Tonga. Tonga old parliament building was demolished by Cyclone Gita in February 2018. Through the BRI, it was also reported that China will connect the affiliated countries, open their markets to China and facilitate trade to link their financial markets to China.